Charlie Ridiculous in talking sense shocker. Can Neil Warnock's team upset the odds? 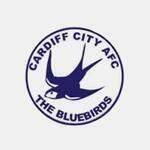 The unfancied Bluebirds will be looking to cause an upset on their return to the Premier League. Charlie Nicholas says: "Neil Warnock won't dress this up as some opportunity to create a great side. It won't be pretty but he's made a side who are hard to beat."